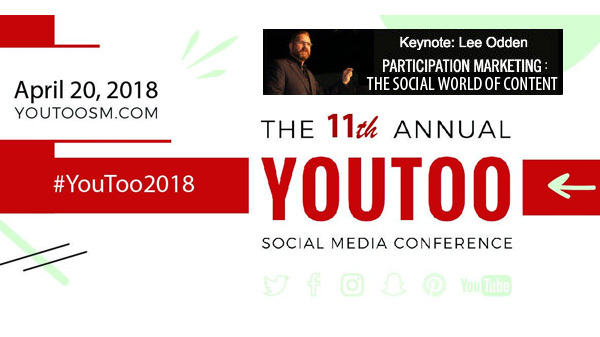 A fantastic opportunity to catch TopRank® Marketing chief executive and co-founder Lee Odden speak about the future of participation marketing is coming up soon, as he’ll be presenting a major opening keynote address during the YouToo 2018 social media conference. 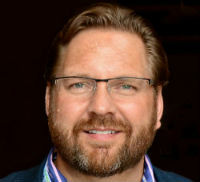 Lee’s kick-off keynote, “Participation Marketing: The Social World of Content, Influencers and Integration for PR,” will take place on Friday, April 20, 2018 at 8:45 a.m. Eastern Time at Kent State University in Kent, Ohio. “Marketing and communications professionals are facing more challenges than ever,” Lee said. “Moving from a ‘me’ to a ‘we’ focus on content creation will democratize the process enabling quality content at scale. Communications students who embrace this perspective will be better prepared to create more impact more quickly as they enter the job market,” Lee added. He’ll be exploring the converging roles of influencer marketing, public relations and communications, and how content and marketing are creating a rapid demand for new strategies, skills, and expectations. As earned and owned media meld and intertwine, communications professionals who fast-track their ability to adapt and evolve can gain a competitive advantage in this newly-emerging world of PR. Registration and conference details are available on the YouToo 2018 website.